Despite the fact that women are often mentioned as having played instrumental roles in the establishment of Methodism on the Continent of Europe, very little detail concerning the women has ever been provided to add texture to this historical tapestry. 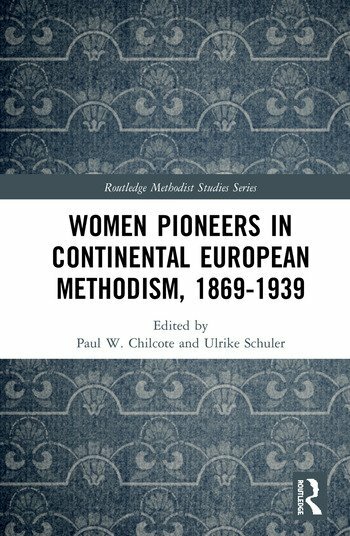 This book of essays redresses this by launching a new and wider investigation into the story of pioneering Methodist women in Europe. By bringing to light an alternative set of historical narratives, this edited volume gives voice to a broad range of religious issues and concerns during the critical period in European history between 1869 and 1939. Covering a range of nations in Continental Europe, some important interpretive themes are suggested, such as the capacity of women to network, their ability to engage in God’s work, and their skill at navigating difficult cultural boundaries. This ground breaking study will be of significant interest to scholars of Methodism, but also to students and academics working in history, religious studies, and gender. Paul W. Chilcote is Professor of Theology at Asbury Theological Seminary in Orlando, Florida. He has published 25 books, many of them on the history of Methodism and women’s studies, including She Offered Them Christ and The Methodist Defense of Women in Ministry. Ulrike Schuler is Professor of Church History, Methodism, and Ecumenical Studies at United Methodist-related Reutlingen School of Theology in Germany. She has served as Chair of the European Methodist Historical Society and President of the World Methodist Historical Society.